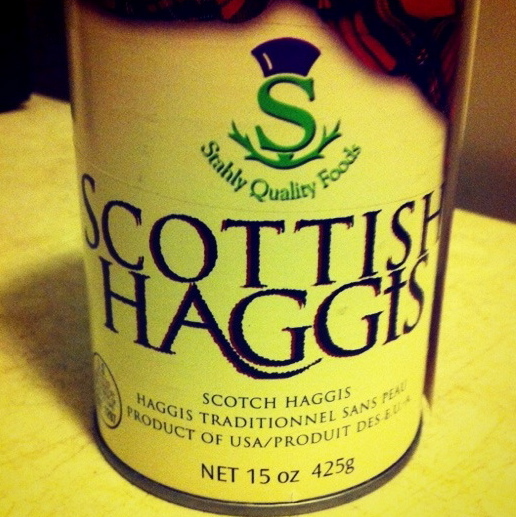 I found haggis in a can. A few weeks ago, while visiting Niagara-on-the-Lake, a little Scottish store had it in the back. Being an unusual food enthusiast, I had no choice to try out this food that is not only rare to find in Canada, but even more rare to find in a can. Haggis is a traditional Scottish dish, made of a sheep’s heart, liver, and lungs, mixed with oats and spices. It’s known for being simmered in a sheep’s stomach, but I didn’t have one handy, so I had to settle for tupperware and a microwave. You can read about my experience with the haggis itself over on my other blog: Food Review: Haggis in a Can. But this is a coffee blog, so you can probably see where this is going. 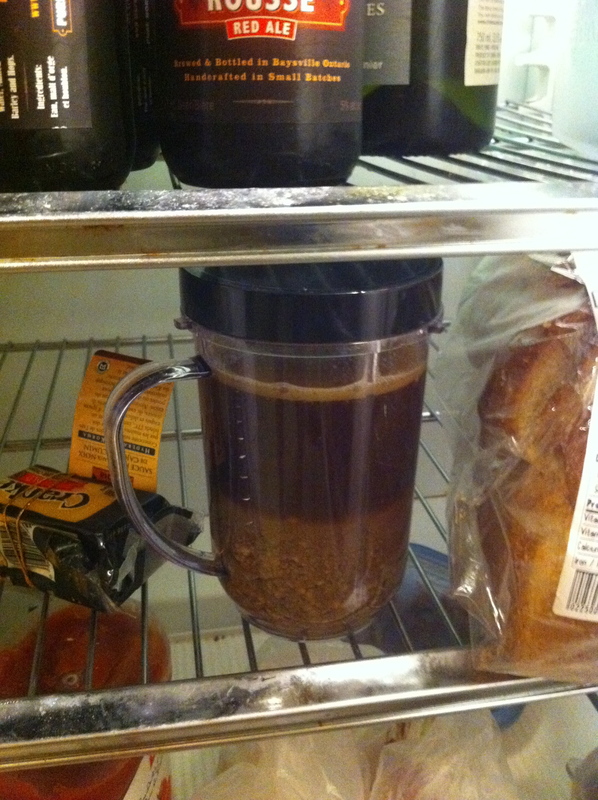 I put the microwaved haggis into a cup, then added coffee and sealed it. 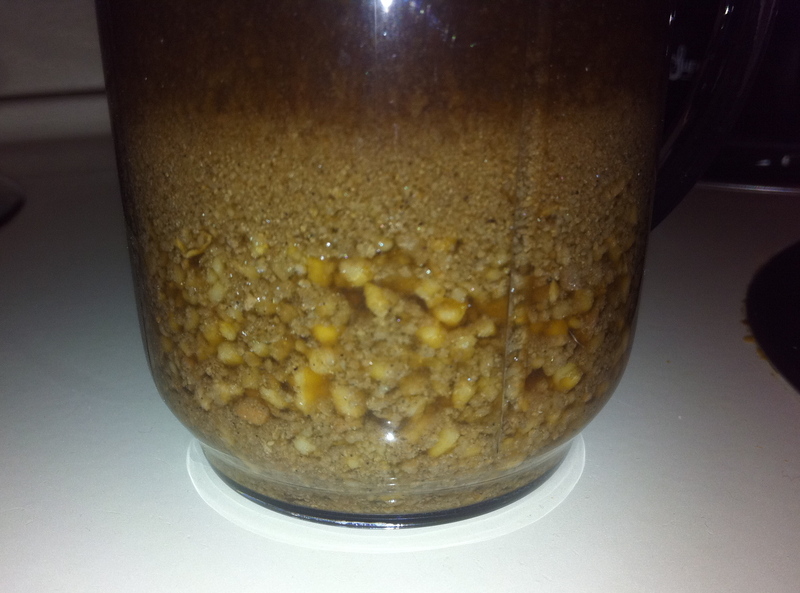 I let it soak for over 48 hours, to make sure the spicy meaty taste had time to infuse into the coffee. When I took it out of the fridge and opened it, the smell was not entirely pleasant. I still had to give it a chance, though. 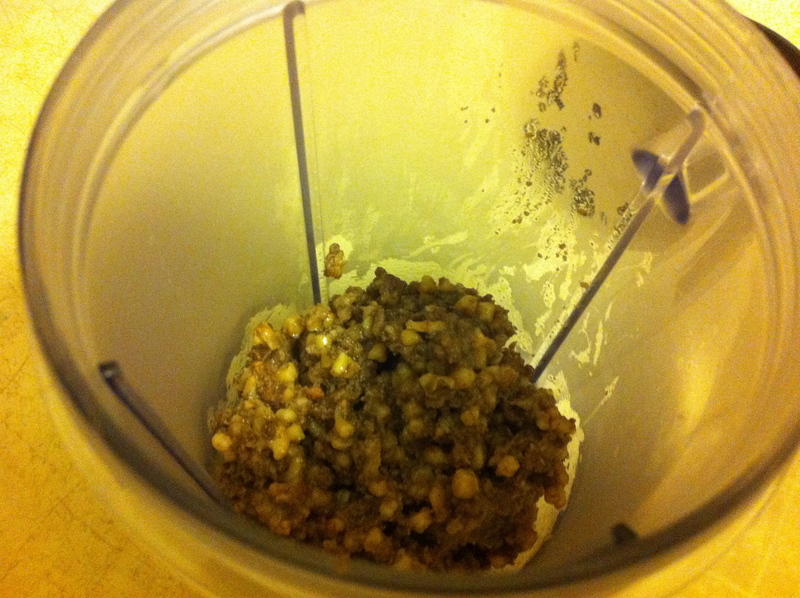 I set up an apparatus to filter out the chunks, leaving only pure black haggis-flavoured coffee. Or at least that was the plan. I ran into a problem. 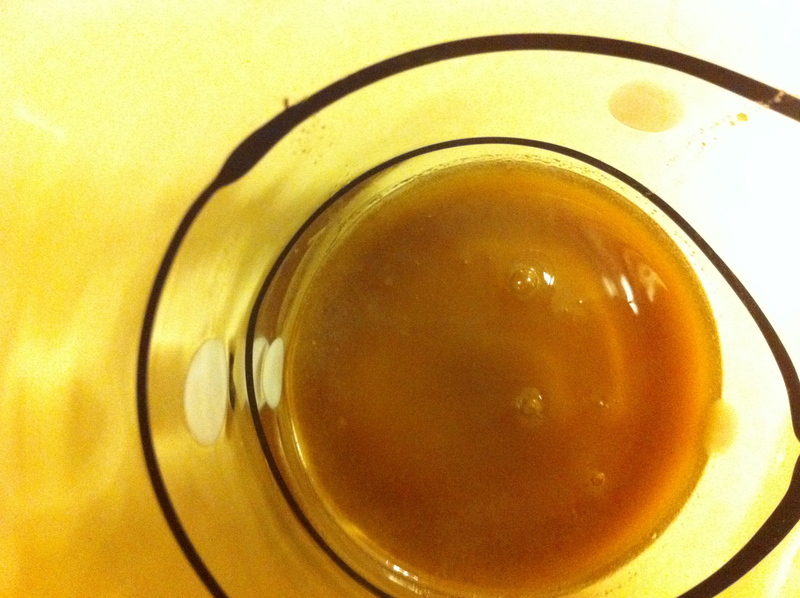 The meat had made the coffee oily and thick; so much so that it refused to drip through my coffee filter. I had to carefully squeeze the filter, coaxing it out the bottom a squirt at a time, not unlike milking a cow. I did this twice, to make sure no chunks remained. 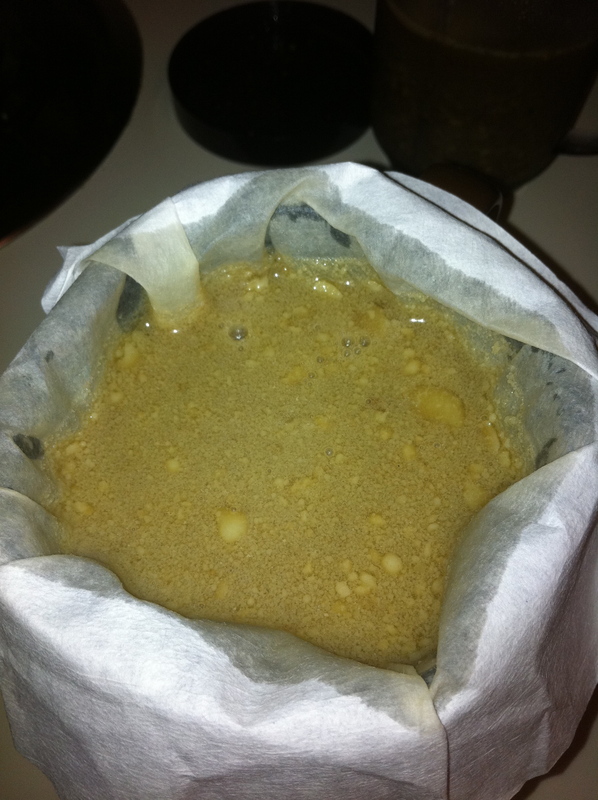 It was a slow process, and yielded only a tiny amount of thickened coffee. Ah well, it’s enough to get a sense of the taste. Bottoms up. Oh, no. This is not good. Salt is the first taste that hits my mouth, but then the unmistakable taste of mashed up sheep heart, liver, and lungs hits me. It’s a dark, bitter, lingering taste, made even more unpalatable by the coffee. Oh Christ. This is like drinking the vomit of someone who just won a gravy-chugging contest. I got some on my fingers and the smell won’t go away. Oh God. I keep washing them. I keep washing my mouth out. It’s still there. Will this be with me forever? At least I also got this in Niagara-on-the-Lake. It’s much better. All the taste of Scotland, without feeling like you need to induce vomiting just so there is a more pleasant taste in your mouth. Five hours later, I’m still having flashbacks. I am so glad I wasn’t eating when I was reading this, I applaud your courage, good sir. Right now I can’t think of anything that is worse to try. Thank you good madam. I suppose it could be worse; I could add hot sauce or something. Pictures #3 & 4 remind me of a scene from an Austin Powers movie–#2, I believe! 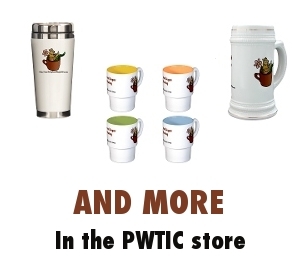 The one where he drinks poop? Haha yeah, this probably didn’t taste much better. I admire your dedication. 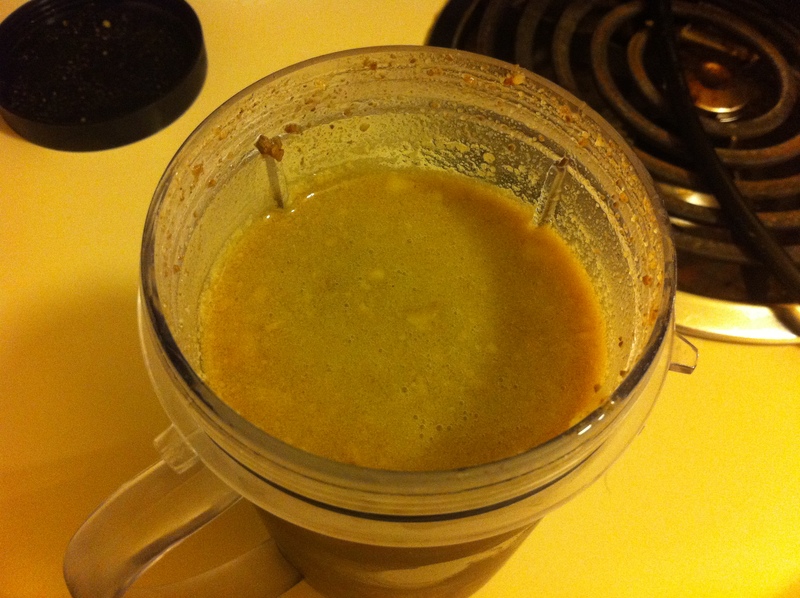 Looks gross! Ugh. Better you than me. Are you really so hard up for ideas? Strange that it was made in the U.S.A.
Did you try the haggis by it’s self? 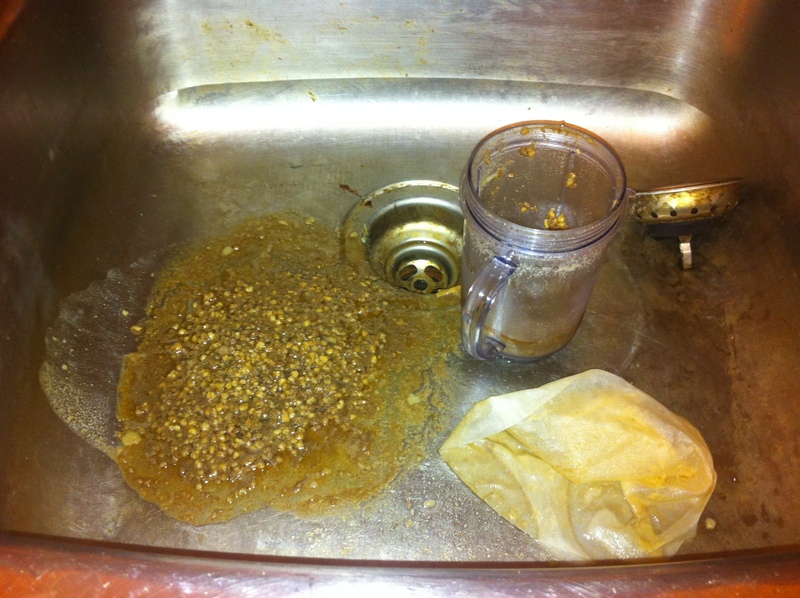 It’s possible it was vomitous prior to adding the coffee. I know this dude who used to make a haggis dinner every year, he wasn’t even Scottish, he was from New Mexico. It was weird. Amazing post! I’ve never had taste this type of coffee. I really need to try this out. Really interesting, Happy thanks giving! Oh dear, this seems like one of the worse combinations but most daring feats yet…don’t give up on the offle though, if you are a real glutton for punishment, you could perhaps try out the equally revolting english classic of black pudding? I know that rubbing table salt all over your hands, as if it were soap, takes out garlic & onion smells. Just wet your hands pour a decent amount in the palm of one hand & “wash” your hands with the salt. Add salt to the dish water to keep the garlic and/or onion smell off all the other dishes also. 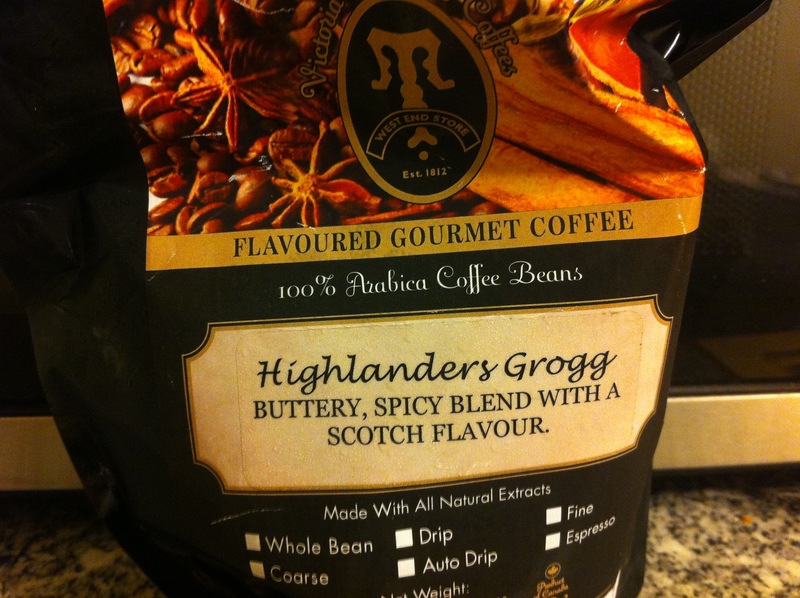 I was searching for Haggis flavoured coffee and found your post – hilarious!